Real talk. Real action is what Wayne Sutton is about. 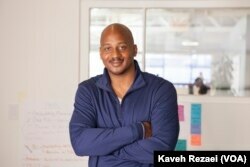 So much so that his life’s work is centered on creating a diverse and inclusive technology culture. Wayne Sutton works in Silicon Valley. He is an entrepreneur and co-founder of Change Catalyst and its Tech Inclusion programs. Silicon Valley is in the San Francisco Bay area of California. It is also home to many startup and global technology companies. Wayne’s involvement with technology didn’t start there. In 2009, Wayne was the cofounder of TriOut, a mobile location-based startup in Raleigh, North Carolina. Wayne says he would stay current with technology news. He remembers, “I would ignite events in North Carolina where 700 people would attend, do tweet-ups as well as community events.” However, he realized that success wasn’t happening for him like it was for others he was reading about. “What’s different?” Wayne asked himself. Several things became evident to him. Research showed that less than one percent of technology startups founded by blacks and Hispanics receive venture capital. Angel investors were also hard to find. Remembering a saying he once heard…..
Wayne moved to the San Francisco Bay area. He says he would go for days sometimes seeing only one or two other black people that were in technology. Experiencing this took a toll on Wayne mentally and physically. In order to move forward, he stayed positive, was mindful of staying healthy and focused on being a change agent. 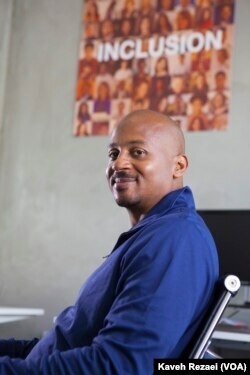 Wayne soon co-founded the NewMe Accelerator, the first minority-led startup incubator in Silicon Valley in 2011. Then in 2014, he co-founded BUILDUP, a nonprofit to support entrepreneurs through educational workshops and fellowship programs. Wayne says being in Silicon Valley gave him the push to become that serial entrepreneur he always knew he could be. A dream came true for Wayne in August 2015. Wayne participated in the first-ever White House Demo Day. The event focused on showcasing and showing the need to support diverse entrepreneurs. Now, Wayne is a leading voice in diversity and inclusion in tech. He is recognized as one of the Silicon Valley’s 100 Coolest people, and one of the 46 Most Important African-Americans in Technology. He travels frequently, speaking at major conferences and helping startups. “Everyone with an idea, dream or passion to create the next great startup deserves to be represented,” he says. And for Wayne, diversity to the tech field is the future of tech leaders in America.